Was hoping to get the nod to be able to drive….but still healing and have two more weeks to go….ugh!! 2 months of being cooped up and I really have a bad case of cabin fever. It’s given me time to be in God’s Word and do some writing….and of course work with RCF, Inc. Can’t thank you enough for all the yummy meals you provided!! What a godsend!! I should be out of the boot (hopefully) by the conference but may have a cane and be in sneakers – how fashionable. You sure you want to be seen with me?? LOL. These weekly quotes are wonderful! Thanks for the effort you invest in making this a welcoming place to gather! Brenda, thanks so much for hosting each week. Hope you’re getting some of that relaxing pony-tail kind of time this summer! That is such a powerful quote! Loved it! Brenda- thanks so much for hosting! I hope you’re enjoying your summer! Brenda – Thank you for hosting the link-up. 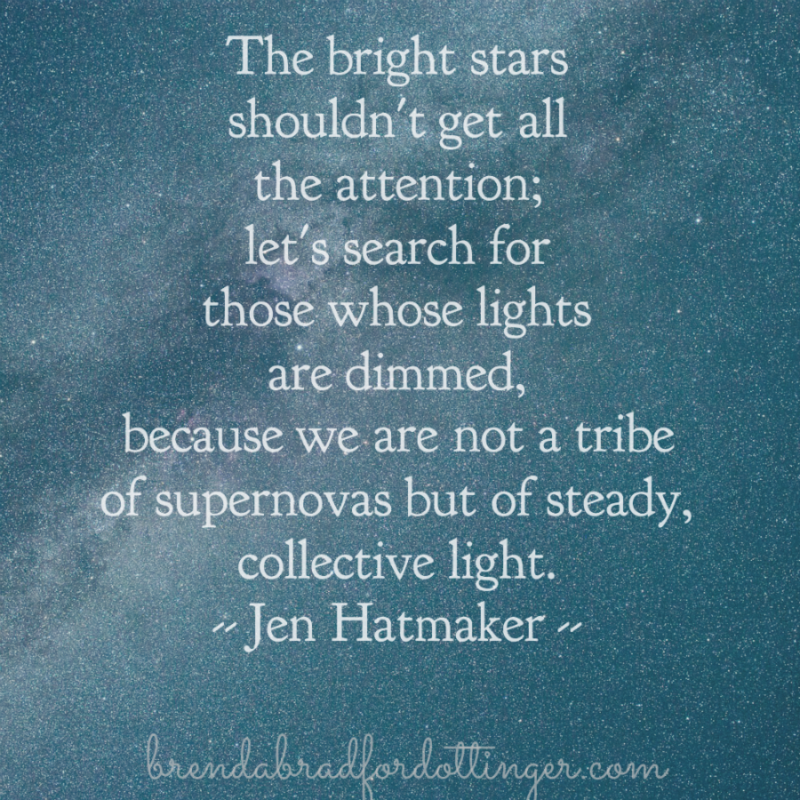 I loved the quote you shared from Jen. I reposted it on Facebook. LOVE your graphic and quote here, friend. Blessings on your summer. I am one of your COMPEL sisters. I LOVE your site! The Thursday link-up is such a gift. What a wonderful source of encouragement and that ever-elusive treasure, community. Thank you for sharing your creative genius and beauty with the world!